Updated Tuesday March 11, 2014 by Hamilton Football Association. 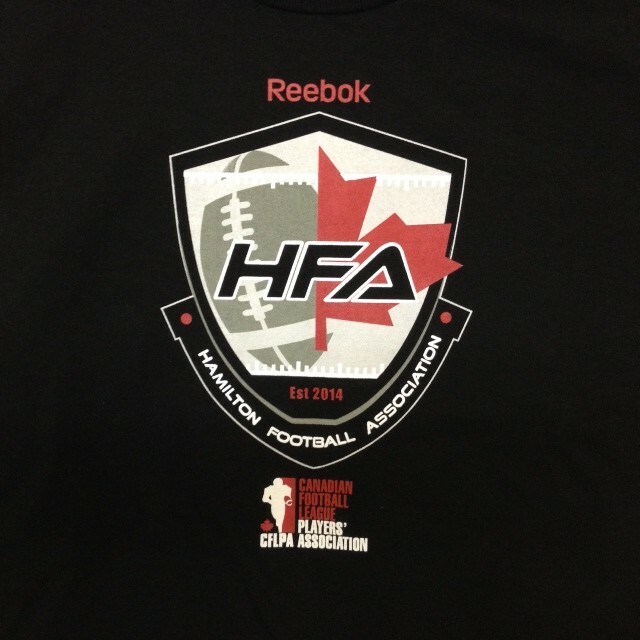 Hamilton Football Association continues to enhance the proud partnerships with the best football brands and continues to expand on relationships with the CFL Players Association and thanks to Reebok for supporting our coaches this spring. “The CFLPA is proud to support this program. It’s a great opportunity for CFL Players and Alumni to give back to these young football players and help them develop their football skills in a fun and safe way.” Said Mike Morreale, President of the CFLPA. HFA coaches are working towards becoming "Safe Contact" trained to help our players have a fun and safe experience. In conjunction with this initiative the Hamilton Football Association will be taking the steps necessary to become Football Canada’s first Safe Contact Association.